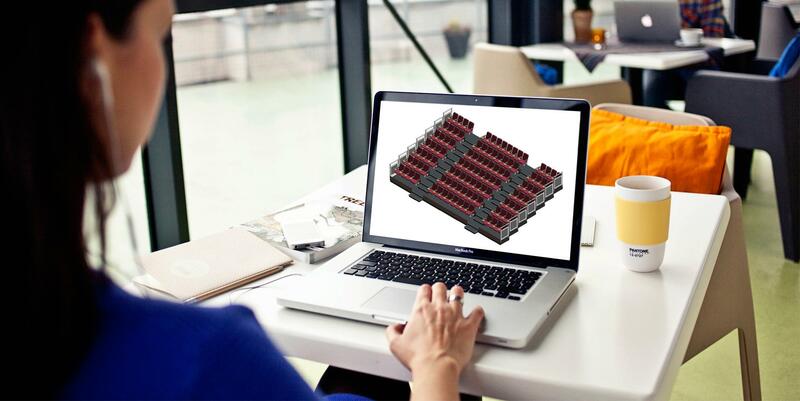 We’re proud today to launch our BIM models for auditorium seating. Not just because it’s a step forward for us and a huge helping hand for our customers. But also because the models we’re launching are the most functional and usable auditorium and retractable seating models on the market. Getting to this point has not been an easy ride. When we first set ourselves the task of offering our clients BIM models by the government’s 2016 target date, our first task was to cut through the jargon, and get to the bottom of what our customers actually needed from us. Secondly we had to create BIM objects which provided just the right mix of usability and visual accuracy while keeping file size to a minimum. To add to the challenge, retractable seating in particular is a complex product with many parameters, restraints and options. Our BIM models are fully compliant with COBie and PAS1192-2, and while offering designers plenty of choices, they are very simple to manipulate. A range of chairs and benches is available, on a choice of retractable platforms or permanent fixed tiering. For more information about what’s on offer, visit our BIM page by clicking here. To go straight to our BIM files, visit our Resources page. To visit the resources page, please click here. We’d really value your thoughts on our BIM objects. Please email us at enquiries@audiencesystems.com if you have any comments or suggestions.